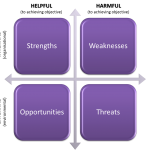 What is a SWOT Analysis and Why Do You Need One? If you are looking to get bank funding for starting your business, or even to expand and develop it, you will be asked to produce a business plan to present to potential lenders. A key part of this plan is a SWOT analysis, which will help you to identify whether you business is likely to succeed and plan to maximise its chances. 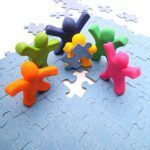 When you are running your own business, whether as a sole trader, freelancer or a SME, it is easy to think of yourself and your business as only being about your specific skill set or core offering. For example, it is easy for marketers to think only about marketing, recruitment consultants to think only about getting clients and filling roles and developers to only think about code. The reality of the situation is that there is much more to your business, even when it is just you, than your core product offering.